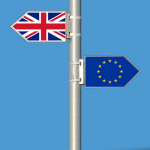 The ESRC wishes to invite proposals for a Leadership co-ordinator to provide intellectual leadership for, and to maximise the impact of the portfolio of recently commissioned 25 UK in a Changing Europe Brexit Priority Grants. In addition, the Leadership coordinator will also co-ordinate activity associated with the proposed Governance after Brexit programme and assist in scoping out additional future research activity on the longer-term impact of Brexit and other governance-related issues. 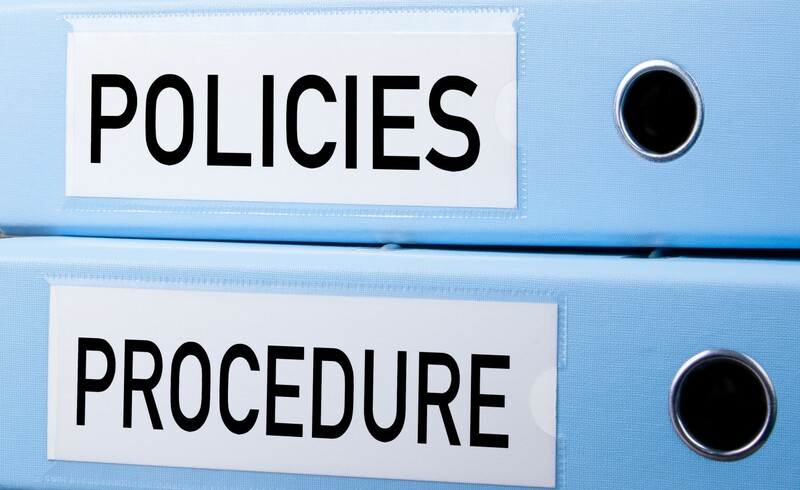 generating evidence and maximising the impact of the Grant’s policy agenda through engagement with a range of policymakers (especially government departments) and stakeholders both in the UK and internationally. Supporting the activities of the UK in a Changing Europe initiative, and collaborating with the Director and Deputy Director accordingly. This will include working closely and meeting regularly with the UKICE Director. Providing strategic and intellectual leadership over the ESRC’s wider research plans in the area of democracy and governance, identifying synergies as appropriate and supporting the development of a cohesive portfolio. Finalising research priorities for the Governance after Brexit programme and co-ordinating activity supported through this investment. This is a complex and fast-moving portfolio, and therefore it is anticipated that the appointment will possess senior level expertise in this area. It is anticipated that appointment will be made at the level of senior fellow. The Leadership Coordinator will also need to be based at an eligible UK Research Organisation (RO). Further details on the UK in a Changing Europe initiative. The maximum budget for the post is £410,000 at 100% fEC. 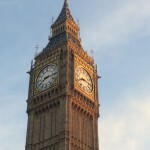 In accordance with RCUK policy, the ESRC will contribute up to 80% of fEC.This budget is expected to cover the Leadership Coordinator’s salary costs, additional research salary costs, any support staff, as well as networking, travel, dissemination, knowledge exchange and impact activities. Applications should be submitted through the Je-S system by 16:00 on the closing date on 23 August 2017. You will need to contact your RKEO Funding Development Officer in the first instance. The appointment is for a fixed period of 40 months. The successful individual should take up the post on 1 December 2017. The Arts and Humanities Research Council (AHRC), Economic and Social Research Council (ESRC) and the UK Foreign and Commonwealth Office (FCO) are pleased to invite applications to the AHRC-ESRC-FCO Knowledge Exchange (KE) Fellowships scheme. The scheme will provide the opportunity for each intake of fellows to be seconded into the FCO to work alongside, advise and influence policymakers. Fellows will bring fresh thinking, depth and breadth of expert knowledge and apply their learning to policy challenges. This is not a scheme to support research projects about the FCO. It will build new capacity in the FCO and across the UK research base. The fellowship scheme will go beyond current ad hoc arrangements, create deeper engagement between academia and policy, impact on diplomacy, increase the professional reputation of participating scholars and build long term, two way relationships. The benefits will flow to the wider academic community through fellows’ engagement with their home research organisation and wider research communities as well as through a dedicated policy seminar series hosted by the FCO during the lifetime of the scheme. The partners anticipate supporting three-four KE Fellows working between 0.6 to 0.8 FTE for 24 months. The maximum amount available for one Fellowship will depend on individual applications. The costs will be met by the participating Research Councils. Consistent with the Research Councils’ arrangements for fEC, the AHRC and ESRC will contribute 80% of the costs and the remaining balance must be guaranteed by the Fellows’ research organisations. This call will be managed by the ESRC on behalf of the two participating Research Councils. In the first instance, an application should be sent as an email attachment to the ESRC on fcofellow@esrc.ac.uk by 16:00 on 31 October 2017. Applications received after this time will not be considered. Please contact your RKEO Funding Development Officer in the first instance as all applications will need to be costed and approved by BU. The ESRC expects universities to exercise demand management and pre-select applications for the ESRC Transformative Research Call 2017-18. The value of the grant is up to £250K (at 100% fEC) over a maximum of two years. The aim of this call is to provide a stimulus for social science research that is novel, pioneering and genuinely transformative. Ideas should challenge current thinking and contain an element of academic risk. If you have any queries, please contact Ehren Milner (emilner@bournemouth.ac.uk). The ESRC and AHRC are inviting proposals for a Migration Leadership Team to provide intellectual leadership for, and maximise the impact of, their combined migration research portfolio. identifying and advising on opportunities to develop the portfolio through future interdisciplinary activities including international collaboration under the broad theme of migration. Applications must be submitted through the Je-S system by 16:00 on 8 August 2017. The appointment is for 24 months in the first instance with the possibility to extend beyond the initial period of funding. The successful team should take up the post on 1 November 2017. The maximum funding available is £500,000 fEC (full economic cost). In accordance with RCUK policy, the AHRC and ESRC will contribute up to 80% of fEC. This budget is expected to cover the Leadership Team’s salary costs, additional research salary costs, any support staff, as well as networking, travel, dissemination, knowledge exchange and impact activities. If you are interested in applying then please contact your RKEO Funding Development Officer in the first instance. ESRC Festival of Social Science 2017 – Apply now! We’re waiting for your applications for ESRC Festival of Social Science until 5 pm on Friday 5th May. 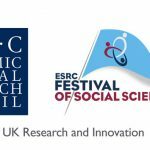 ESRC Festival of Social Science 2017 – Call for proposals! The call for event proposals for the ESRC Festival of Social Science is now open! This is a fantastic national festival will take place from 4th to 11th of November 2017. It celebrates the best of social science and engages a wide public audience with the key issues that social scientists are currently addressing. We are keen to see as many of our social scientists at BU to take part in this exciting public engagement initiative as possible. Please contact us if you’d like to get involved – we’re open to ideas; public debates, conferences, workshops, interactive seminars, film screenings, virtual exhibitions and more. 2017 will be the fifteenth year that the ESRC will hold the Festival of Social Science and we are welcoming event proposals targeting a non-academic audience including young people, third sector, the public, business or government. To apply, you will need to complete an application form stating details of the type of event you’d like to run. If you would like to make an application to run an event as part of the Festival or for further information, please do not hesitate to contact Genna West (gwest@bournemouth.ac.uk) or Joanna Pawlik (jpawlik@bournemouth.ac.uk) from the Research and Knowledge Exchange Office. The application form is available to download from the staff intranet. Funding is available to support your event. The call for participants for the 2017 ESRC Festival of Social Sciences will be opening on 29th March. The festival this year is taking place from the 4th to the 11th of November with events taking place across the BU Campus and in the local area. We will be looking for applications from social sciences researchers to run workshops/exhibitions/lectures/activities (we’re open to ideas) open for attendance for the wider public. The ESRC FSS encourages to support and create the opportunity for social science researchers to engage with non-academic audiences and to promote and increase awareness of the social sciences and the contribution they make to the wellbeing and the economy of society. Please keep an eye out for further information when the call for applicants opens on the 29th March or contact Genna West (gwest@bournemouth.ac.uk) to find out more. These support innovative and creative engagements with new audiences and user communities that stimulate pathways to impact within the area of arts and humanities. Grants are worth up to £100,000 over a maximum period of one year. Smaller grants of up to £30,000 may be awarded for shorter or higher risk activities. These enable individual researchers to collaborate with, and bring benefits to, other individuals and organisations through the conduct of research related to the arts and humanities, and support researchers at the start of their careers in gaining experience of managing and leading research projects. Provides grants for projects with a full economic cost (fEC) between £50,000 and £250,000 for a varying duration up to a limit of 60 months. These support research projects by enabling individual researchers to collaborate with, and bring benefits to, other individuals and organisations through the conduct of research related to the arts and humanities. The standard route provides grants for projects with a full economic cost (fEC) between £50,000 and £1,000,000 for a varying duration up to a limit of 60 months. *** The Economic and Social Research Council will shortly be inviting applications for its UK in changing Europe – Brexit priority grants. Applications are expected to open at the beginning of December and to close on 25 January 2017. Call information will be published when applications open. The following information is subject to change. These grants support additional activity, including research synthesis and potential new short-term research activity, related to the process of the UK leaving the EU. 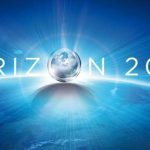 The grants will be between £100,000 and £300,000 (100 per cent fEC, with the ESRC contributing 80 per cent fEC) and for a duration of up to 18 months. The ESRC expects grants to commence on 1 April 2017. Be aware this is a pre-call and there may be further conditions announced in the full call. The EPSRC/Energy systems catapult will fund up to eight studies across the six areas identified. Scoping studies are expected to be up to a maximum of nine months in duration and up to £60k (80% FEC) in value. Funding could be used for researcher time, travel, workshops and other engagement activities to further develop consortia and larger programmes of work. Interdisciplinary collaboration and consortia building within applications is strongly encouraged as is partnership and engagement activities with organisations outside of academia e.g. Government, regulators and industry. This is the fourth annual call for the Health Systems Research Initiative. Up to £6million is available for funding proposals under this call. Innovative proposals are sought from across the public health, social and biomedical sciences and must clearly identify what health system challenge is being addressed. Proposals must situate this clearly-defined challenge within an understanding of the broader health system linkages and describe how and why findings from the project have the potential to improve the health of people living in low and middle-income countries. Funding is available for research only; we will not fund the routine delivery of health services. This supports research into the possibility of creating a measure of quality of life or wellbeing, which would have utility across health and social care. 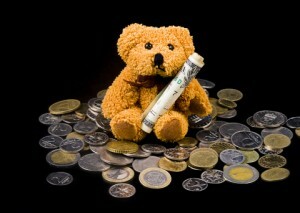 Grants may be awarded for any period of up to five years. Funding supports research into methodologies for developing models which may enable identification, measurement and understanding of spillover effects in health service and public health systems. 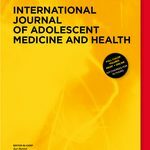 Funding supports the development of innovative methods for identifying, synthesising, interpreting and presenting observational data for use in guidance development and clinical decision-making, both at the national level and for individual patients, and in particular, how one may interpret and rationalise data from different sources. These enable academic researchers to be relieved of all their teaching and administrative duties and to concentrate on full-time research in all areas of the life and physical sciences, including engineering, but excluding clinical medicine. A total of seven fellowships are provided each year. The fellow’s employing institution receives reimbursement for the full salary costs for the fellow. Research expenses of up to a maximum of £2,500 are available to cover the cost of consumables, equipment and travel. These support individuals working on small- and medium-scale research projects based on library or archive collections supported by the trust. Bursaries are usually worth between £5,000 and £25,000 each, and may contribute towards travel, subsistence and research expenses. If you are interested in submitting to any of the above calls you must contact your RKEO Funding Development Officer with adequate notice before the deadline. The ESRC will shortly be launching a call under the UK in a Changing Europe initiative for Brexit Priority Grants. These are to support additional activity (including research synthesis and potential new short-term research activity) related to the process of the UK leaving the European Union. The grants will be between £100,000 and £300,000 (100 per cent fEC, with the ESRC contributing 80 per cent fEC) and for a duration of up to 18 months. The ESRC expects grants to commence on 1 April 2017. Whilst grants under the call will be able to support new research, grant holders will be expected to undertake stakeholder and public engagement activity throughout the grant’s duration. Grant holders will also be expected to work closely with the initiative, led by Director Professor Anand Menon in communicating the research. The ESRC intends to launch the call at the beginning of December 2016, and it is expected to close at 16.00 on 25 January 2017. Key policy areas and their impact on the UK: the single market and its implications for trade, labour market dynamics, and internal migration (within Europe); financial services regulation, monetary policy, and the future of the eurozone; the EU’s external relations; policies relating to internal security and justice; energy and environmental policy. The UK and the workings of European institutions: European institutions, democracy, governance, regulation; the influence of member states and sub-national regions on EU decision making; the implications of multi speed integration, including of further eurozone integration on non euro members; legal aspects of membership and non-membership. Attitudes towards the EU: Social and political attitudes; the nature of euroscepticism; the role of the media in shaping public and political attitudes. A Changing UK: The impact of legal, constitutional, policy and political change in the UK on the relationship. What does it mean to be a student in the 21st century? As part of ESRC’s Festival of Social Science BU researchers Dr Vanessa Heaslip, Dr Clive Hunt, Dr Maggie Hutchings and Dr Alex Wardrop will be leading a workshop to present the real-life stories of non-traditional students. The students’ stories will immerse the aud ience through a mix of multi-media methods made up of images, films and talks. 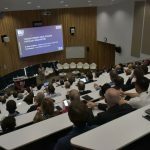 Bournemouth University is leading a pioneering collaborative programme of research exploring ways to make higher education more accessible and more equitable than it sometimes is. This research contributes to new, more participatory, ways of doing, thinking and learning about widening participation which is a core tenet to BU’s Fair Access Research project. Over the past few weeks BU researchers have been working with a diverse group of non-traditional students from across the university, as they take images that tell their stories of university life. This enables the students to become the researchers of their own lives, using the photovoice methodology to share their stories. During the research process BU researchers asked students to tell their stories to each other as a gift to help uncover insights into their experiences by talking through the images and hearing their stories retold by another. Some themes that have been emerging through the stories included the concept of homeliness, both in its history and recreation as a student. 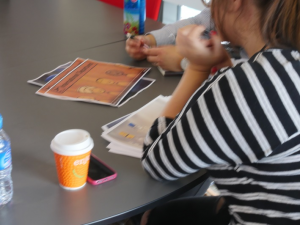 Unsurprisingly, the students identified that the images shared by the final year students appeared more positive compared with the anxieties of first year students. The workshop will allow you to listen to the non-traditional students’ voices, learn from the students’ stories, gain insights into different research methods and work together to develop practical responses to what we see and hear. You will gain insights into the power of arts-based social participatory research methods for eliciting deep stories and re-represented for social action. Having engaged with storytelling, participants will discuss ways in which the students’ lived experiences could shape policy changes and interventions to better enable students to feel like they belong. than 250 free events nationwide. Run by the Economic and Social Research Council, the Festival provides an opportunity for anyone to meet with some of the country’s leading social scientists and discover, discuss and debate the role that research plays in everyday life. With a whole range of creative and engaging events there’s something for everyone including businesses, charities, schools and government agencies. A full programme is available at www.esrc.ac.uk/festival You can also join the discussion on Twitter using #esrcfestival. To hear more about ESRC Festival of Social Science at Bournemouth University, then please get in touch. ESRC’s Festival of Social Science- What is the Internet Hiding from you? As many of us may be aware our personal data is used to filter our Facebook timeline and that Amazon personalises our suggestions. With an exponential growth of information, many online systems filter and adapt what information we are exposed to. 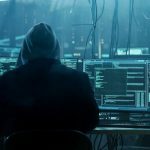 However as users, we have not always agreed to this personalisation and we’re often left unaware whether our personal data is being used to benefit us. There is also a risk that if personalisation gets ‘too good’; this can narrow down our exposure to new things. We’re left to wonder how our personal information is being used. Imagine a tourist visiting a city and looking for new places to explore. A recommender system would suggest several places to visit and a certain sequence to visit them in. To give good recommendations, the system needs to consider the relationship between suggested items. For example, the tourist may not want to visit more than two museums in a day, and they would not want to go from one museum straight to another one, so there should be something else to visit in-between. Working together with adults of different backgrounds and degrees of technological experience Dr Nava Tintarev hopes to understand what factors influence a good explanation for these sequences, through the focus group and better understand how people feel about this personalisation. One scenario is when there is no best option and the sequences have taken into account trade-offs. For example, someone travelling in a group may not see their top preference within the sequence, because the system took into account the preference of others in the group. The second scenario in which explanations can really help is when the recommendations contain unexpected, but risky items. Often recommender systems suggest safe items, for example suggesting the latest Star Wars movie to a Star Wars fan, or inferring from a user’s consumption habits that they are similar to users that like the newly released Jurassic World movie. The problem is that even though these systems suggest novel items, these recommendations are predictable. They miss out on what potentially could be the greatest strength of recommender systems: helping users discover new items and new interests they didn’t realise they had. It is vital to understand people’s concerns. Dr Nava Tintarev’s research looks specifically at the use of explanations to help users make good decisions about recommendations of sequences of items. It is important that they are confident that they can trust these systems. Through her research, she hopes to help users gain a better sense of how their personal data is being used. This event will help you gather a better understanding of how big data companies use personal data and the challenges they face. The 14th annual Festival of Social Science takes place from 5-12 November 2016 with more than 250 free events nationwide. Run by the Economic and Social Research Council, the Festival provides an opportunity for anyone to meet with some of the country’s leading social scientists and discover, discuss and debate the role that research plays in everyday life. With a whole range of creative and engaging events there’s something for everyone including businesses, charities, schools and government agencies. A full programme is available at www.esrc.ac.uk/festival You can also join the discussion on Twitter using #esrcfestival. This event is running twice on Tuesday 8 November to allow as many people as possible to attend. I if you would like to attend the 14:30-17:00 session please book your free place here. If you would prefer to attend in the evening there is a session running 18:00-20:30 for which you can book your free place here. The International Centre of Tourism and Hospitality Research will be running an event as part of the ESRC Festival of Social Science. Tourism plays a major part in Bournemouth’s economy, attracting millions of visitors to the seaside town every year. In 2011 alone, the town saw 5.6 million visitors, who spent £460 million between them. BU’s Dr Giampaolo Viglia will be presenting to the audience the innovations that have been introduced to the travel and hospitality industry, via cutting edge social science research. The workshops aim to provide some evidence on the actual behaviour of operators in the hotel and aviation industry and to ask: How much do they use dynamic pricing strategies? When is the best time to book? How should they react to the seller’s pricing strategies? What are the main drivers behind the price trend structure? 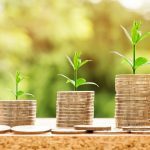 What additional profit can the revenue management techniques in the hospitality industry offer? 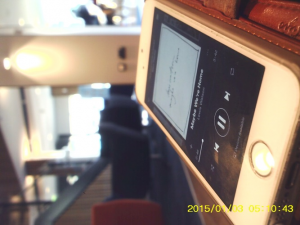 Is delegating the price decision to the consumers in restaurants appropriate? BU’s Dr Giampaolo Viglia will be joined by Professor Claudio Piga, from Keele University and the staff from HOTS Business game to discuss dynamic pricing, the best time to book and new pricing mechanisms. This will be followed by a tea/coffee break, to recharge your batteries. We will then hear from BU researchers Dr Viachaslau Filimonau, Professor Adele Ladkin, Professor Heather Hartwell and Dr Sean Beer who will discuss innovations in food, technology and menu labeling. The event has been designed to engage professionals and consumers in discussion and to showcase the growing research agenda on the impact of innovation on the travel and hospitality industry. Innovations are influencing the travel and hospitality industries offering more flexibility on the supply side and driving informed decisions on the consumer side. The rapid growth of online bookings has had a massive impact on the industry. The internet encourages greater price scrutiny since the relevant information is both easier to obtain and transparent, given that any party can compare the prices of several alternatives with very little effort. This is bound to have an impact on how operators set prices since they too can easily obtain this information and rapidly respond accordingly. There will also be an opportunity for debate between professionals and consumers. The 14th annual Festival of Social Science takes place from 5-12 November 2016 with more than 250 free events nationwide. Run by the Economic and Social Research Council, the Festival provides an opportunity for anyone to meet with some of the country’s leading social scientist and discover, discuss and debate the role that research plays in everyday life. With a whole range of creative and engaging events there’s something for everyone including businesses, charities, schools and government agencies. A full programme is available at www.esrc.ac.uk/festival. You can also join the discussion on Twitter using #esrcfestival.